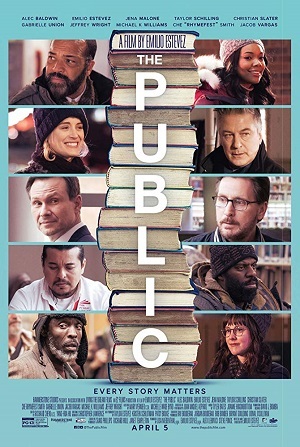 A virtuous and righteous film, The Public addresses a vital issue with a stern moral fibre backed by fine filmmaking, as director Emilio Estevez establishes himself as one of the best moralistic storytellers in film today. Many know Emilio Estevez as one of the “Brat Pack”, that contingent of young actors that made their mark in 1980s classics such as The Breakfast Club and The Outsiders. While his star has waned over the decades, his work as a director has gone from strength to strength. The Public, the 7th film directed by Estevez, is also one of his best. Skilfully made and wonderfully performed, The Public is a film of heart and thought, that is also quite inspirational in its advocacy and (dare it be said) Christian spirit. Caught in the middle is library supervisor Stuart Goodson (Emilio Estevez). He very much is the beating heart and conscience of The Public, towing the line between civil obedience and an ethical responsibility to not only his patrons, but his fellow man. In these days of knee jerk social-justice-warrior nonsense sullying activism of all ideologies, The Public represents a glorious throwback to classic liberal advocacy, in which Christian spirit, charity, and good works go hand in hand. The library in The Public is indeed presented as a sacred place where freedom of ideas and information can be expressed and accessed. They have also become hubs for the homeless, who seek solace from their harsh existence. Next time you are in your local or state library, have a look around and you will see so yourself. The name “Goodson” is very prevalent to the story of The Public. It was in Luke, chapter 15, where the “Parable of the Prodigal Son” is found. Much like that “prodigal son” in the parable that squandered everything until he was in rags, so too do the men in the library – once veterans, husbands, employed, living the American dream – find themselves. Only difference is they did not have a father awaiting with forgiveness in his heart and a banquet waiting. These men were gurgled up in a dog eat dog world and spat out a shamble of themselves. When watching Estevez on screen, it really hits hard how he is his father’s son. 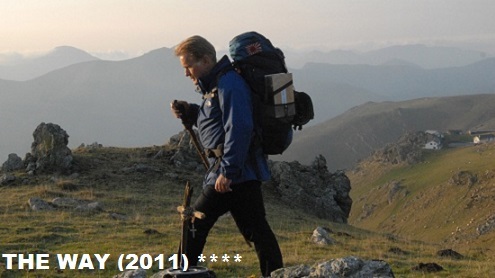 Martin Sheen of course is known for his political activism as he is his fine acting career. Sheen has indeed been arrested many times for his activism, and there is no doubt he would be proud of Emilio’s pop-culture activism in The Public, a fine movie filled with rage, heart, and an urging to show compassion even in the darkest, coldest of nights.